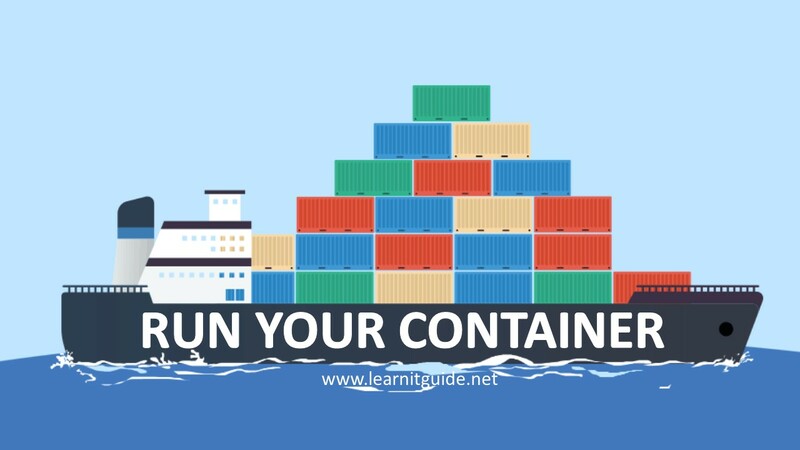 In this post, We will show you how to run docker containers in linux with step by step explanation and also explained which options are required and when to use?. As we explained in the previous articles, "What is Docker - Get Started from Basics". Docker containers can be created only from the docker images and Docker Container is a read/write layer of Docker Images. To run any docker containers, We must have docker images available locally. If doesn't exists locally, docker will pull directly from docker hub registry through internet as explained in "Docker Images Explained with Examples". Use "docker images" command to list the available docker images locally in your docker host and get the Image repository name or Image ID of the docker images you wish to run. Let's take CentOS image for example, Image name is "docker.io/centos" and Image ID is "49f7960eb7e4". "docker run" command is used to run docker containers. where, "docker.io/centos" is the docker image name, you can also use docker image ID (e.g: docker run 49f7960eb7e4). Use "docker ps -a" command to check the status of the docker containers. Our container is exited. why? When proper option is not used along with "docker run" command, container will exit and also it wont start even when you start the container manually (e.g: docker start containername). Because we have several options available to work with containers, it must be used based on our requirement as below. Above docker command uses our CentOS image to run container "container1" with some options and arguements. "-it" - For interactive TTY session, so we will have terminal session to login into the created container.
" --name" - To specify the container name, else docker itself will assign some random names like "quirky_visvesvaraya", dazzling_galileo and etc,. "container1" - Name of the container, it must be next to "--name". "docker.io/centos" - Name of the Docker Image, you can use Docker Image ID also. "/bin/bash" - We can use any command arguement at the end of the docker command, but this will override the CMD instruction used in docker images. Look carefully, Above "docker run" command dropped us in a interactive TTY terminal session of a docker container "container1" and "2ed29364bde5" is the docker container ID. So we can perform our tasks on top of this docker container. Once you have completed, you can exit from the container using exit command. But when we exit from this session, it dropped us back to the docker host terminal from docker container "container1". Check the status of the container now using "docker ps -a" command. Above output shows that our docker container "container1" again moved to exited status. Its not running. Dont panic. Start the container again using "docker start" command and check the status. Now the docker container "container1" is started and running up for 3 seconds. If you want to login into any running container, then we must use "docker exec" command as below. Let's login into the container using "docker exec" command and exit from the container to check again. This time, container1 is still running even when we exit from the docker container session. It didn't moved to exited status. So how to run docker containers permanently in the first time itself. use "docker run" command with option "-d" to run the container in daemonize mode. So our container will not go into exited mode until we stop it manually. Above command created and running the container "container2" with docker container ID highlighted in yellow. Check the status of docker containers. This time, container2 is running in daemonize mode as expected and it shows the first few characters of the docker container ID for our identification. Login again into the container and exit from the container terminal to ensure its running. So, It is depend on the requirement that how we want our container to be running? If you have configured everything in docker image itself, then use "-d" option to run directly. Else run container without "-d" option and configure it based on the requirement. Start it again manually. There are still more options can be used to attach volumes, exposing network ports, reserving CPU and memory resources for each container. Going forward we will play more with docker tool. Keep practicing and have fun. Leave your comments if any.